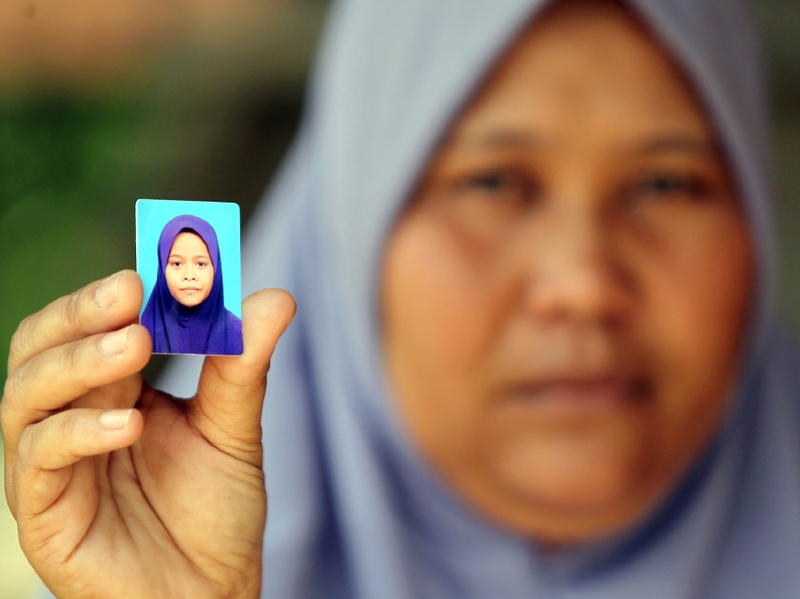 KUALA LUMPUR: Pekan police were wrong not to activate the National Urgent Response (Nur) Alert when 11-year-old Siti Masitah Ibrahim, whose body was found recently, was first reported missing almost two weeks ago. Federal Sexual, Women and Children’s Investigation Division principle assistant director Assistant Commissioner Choo Lily said the Nur Alert, which was created to disseminate information to the public when a child under the age of 12 goes missing, was for all children, irrespective of whether they were Malaysians or foreigners. She said, by right, on the day the police received the report from the victim’s parents, the Nur Alert should have been blasted out through the system with the child’s brief description and a latest photograph. “It seems like there was a mistake on the side of the officer who wrongly assumed that Nur Alert was only applicable to Malaysian children. There is no such thing. We have blasted the Nur Alert for children without documentation who were reported missing in the past. “As long as a child aged 12 or below is reported missing within Malaysia and once police have confirmed that the missing child’s life is not at risk due to the alerts, we will send out the alerts. “When we say risk, it means once we have ruled out that there are possible criminal elements such as kidnap-and-ransom demand, or any possibility of the child being endangered due to the alert, it should have been sent. “However, this only can be done with the consent of the child’s parents,” she said when asked to clarify on why the Nur Alert was not used in the case of 11-year-old Siti Masitah in Pekan. Siti Masitah, who is of Cambodian parentage, was reported missing by her mother on Jan 30 after she failed to return home from a trip to a grocery store. On Sunday, after 10 days, her decomposed body was found in an oil palm estate not far from her house. Pekan police chief Superintendent Amran Sidek was reported as confirming the gruesome finding and had said that no Nur Alert was sent out because the victim was an undocumented foreigner, as were her parents. Asked how the system worked and how effective it was, Choo said the response has been positive although the last time the system sent out a missing child alert was in December last year. Meanwhile, Deputy Women, Family and Community Development Minister Hannah Yeoh said everyone, mainly parents, should pay more attention to their children’s whereabouts. “It is very important to know where and who they go out with. On top of taking extra interest in a child activities, good communication is also vital to ensure a child is always safe,” she told the New Straits Times. Yeoh had earlier tweeted that the Nur Alert was applicable for all children, regardless of nationality. “Nur Alert is for all children (under the age of 12) reported missing regardless of documentation,” she wrote, clearing the air on the statement from police in Pekan. Nur Alert, an official emergency alert system to enlist the public’s help in locating missing children, was initially known as Nurin (Nationwide Urgent Response Information Network) Alert. This was named, in part, in remembrance of 8-year-old Nurin Jazlin Jazimin, who went missing in August 2007 and later found brutally murdered. It had been modeled after the Amber Alert in the United States, named after nine-year-old Amber Hagerman who was abducted and murdered in Arlington, Texas in 1996. The Amber alert's official acronym (or backcronym in this case) is America’s Missing: Broadcast Emergency Response.